368 pages | 4 B/W Illus. 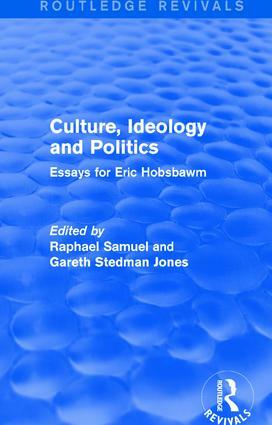 First published in 1982, this book is inspired the ideas generated by Eric Hobsbawm, and has taken shape around a unifying preoccupation with the symbolic order and its relationship to political and religious belief. It explores some of the oldest question in Marxist historiography, for example the relationship of ‘base’ and ‘superstructure’, art and social life, and also some of the newest and most problematic questions, such as the relationship of dreams and fantasy to political action, or of past and present — historical consciousness — to the making of ideology. The essays, which range widely over period and place, are intended to break new ground and take on difficult questions.